From e 150,00 for sailing boat and skipper. 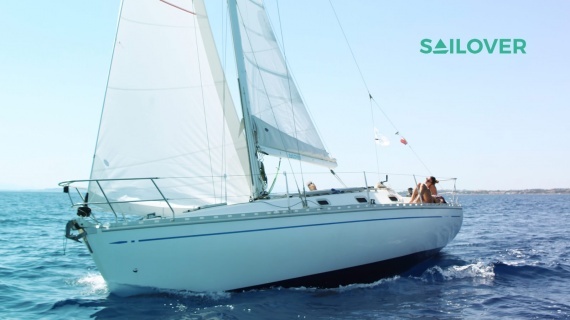 SAILOVER provides exclusive sailing services in South Sardinia. Excursions, with skipper on board, generally last three to seven hours. We serve a snack or a light lunch/dinner on board: Standard, Sea or Veggie menus are available, made only with local high quality products. Our selection of wines and beverages can be conveniently chosen upon booking. SAILOVER boats belong to three categories: Active - Slow - Vintage. Choosing a boat is fully up to customers according to their preferences. South Sardinia SAILOVER main docks are located in Marina di Capitana (Quartu S. Elena coast), a strategic port from where the most enchanting bays along the coast will easily be reached. Boarding and disembarkation are also available at Marina Piccola (Cagliari Poetto), Marina di Perd'e Sali (Pula-Nora) and Marina di Villasimius. On request, however, boarding from other docks in the Golfo degli Angeli can be arranged.